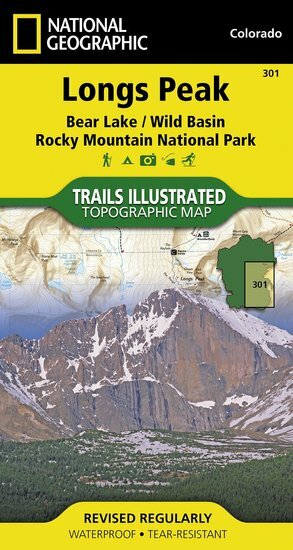 Trails Illustrated Longs Peak Bear Lake Rocky Mountain NP [TI301] - $10.95 : Trail Explorers Outpost, Keeping the Adventure Alive! 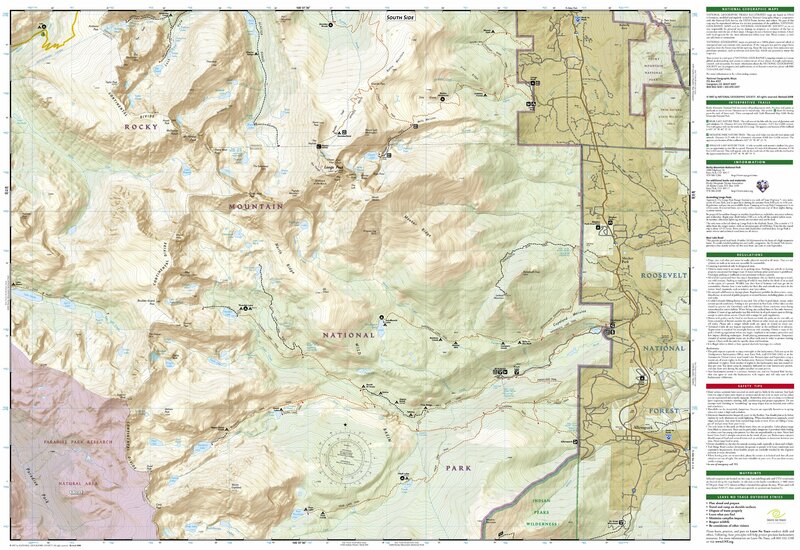 The National Geographic -Trails Illustrated folded map is your essential guide for outdoor exploration in the Longs & McHenrys Peak area of Rocky Mountain National Park. The brilliantly illustrated topographical representation shows all trails, campsites, and recreational features, plus relevant info on wildlife, history, geology, and archaeology. 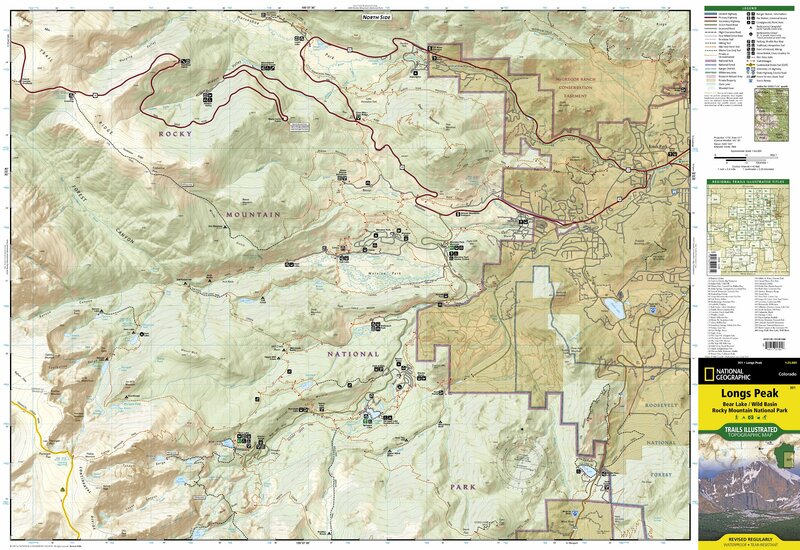 All data is updated to reflect road closings, new trails, and campground relocation. Printed on waterproof, tear-resistant material with a plastic coating that offers supreme durability for your next outdoor adventure. Scale 1:24,000.